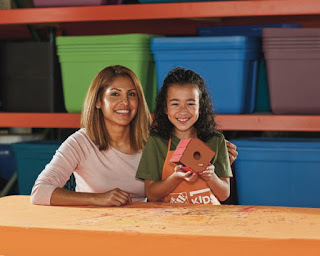 On April 6, from 9:00 a.m. to 12:00 p.m. kids can participate in the Home Depot birdhouse building workshop. Encourage a love for nature and ornithology in our hands-on workshop where you and your child can build a birdhouse. Your young birdwatcher can observe birds’ behaviors like nest building and provide them a safe place to eat without the need for expensive equipment. Once your birdhouse is built, your child can decorate it with paint and stickers.